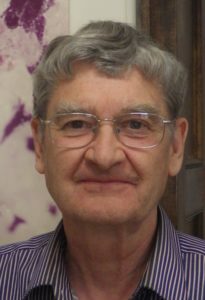 George R. Rossman is Professor of Mineralogy in the Division of Geological and Planetary Sciences, California Institute of Technology, Pasadena, California. His principal research interests deal with the use spectroscopic probes to study minerals. His work addresses problems relating to the origin of color in minerals; ways to identify minerals; and the development of analytical methods for hydrous components in geological solids. He is also interested in the long-term effects in minerals from the exposure to background levels of natural radiation. These interests have also brought him into many interactions with the gem industry and gem testing laboratories, for which he is a valued consultant. He was the recipient of the inaugural Dana Medal of the Mineralogical Society of America in 2001 which recognizes sustained outstanding scientific contributions through original research in the mineralogical sciences and a similar award, the Friedrich-Becke Medal, from the Austrian Mineralogical Society in 2005. He received the Richard P. Feynman Prize for Excellence in Teaching at the California Institute of Technology in 2004. He was also honored by having a new mineral species of the tourmaline group, rossmanite, named after him. For centuries, colorful minerals have attracted many collectors and scientists to the field of mineralogy. Much more recently, the fields of physics and chemistry have given us powerful tools for chemical analysis and spectroscopy that have led to insight into the atomic origin of these colors. We now recognize several origins of colors in minerals. Metal ions such as copper and chromium color many beautiful minerals such as malachite and emerald. Naturally occurring ionizing radiation is an agent of coloration for some of our favorite minerals such as amazonite and elbaite. Physical optics are involved with opal and with surface coloration on phases such as bornite. This talk will help us understand the origins of color in minerals both as seen in the lab and as it develops in the ground in natural crystals. 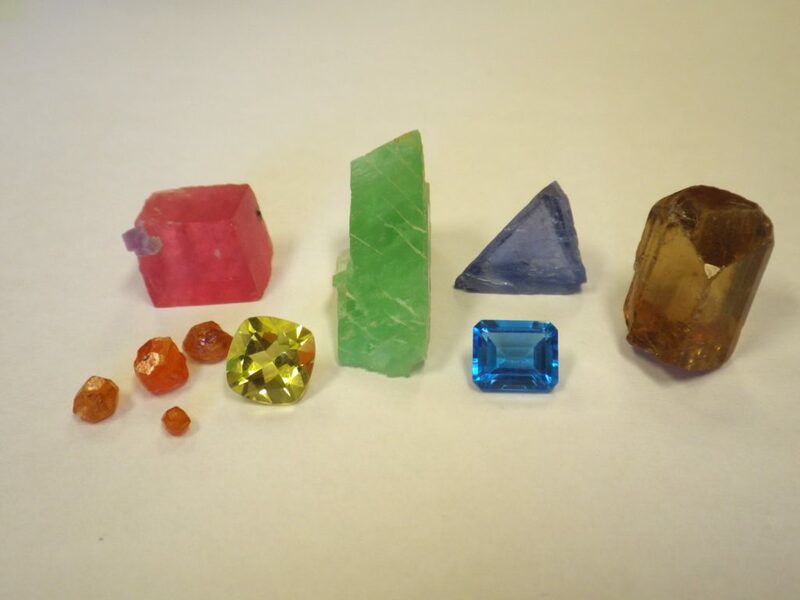 A variety of color can be found naturally in gems.